Zimbabwe have been expelled from 2018 World Cup qualifying for failing to pay former coach Jose Claudinei Georgini. “as a result of the non-payment of an outstanding debt”. Fifa added that Zimbabwe’s Football Association (Zifa) failed to make the payments despite a grace period. It ends Zimbabwe’s chances of reaching the finals in Russia before the Warriors have even kicked a ball. The African zone qualifiers are due to kick off in October, with the draw to be made in St Petersburg in July. Zimbabwe have never qualified for the World Cup. Brazilian Georgini, nicknamed Valinhos, managed the national team from January to November 2008. He has been owed money since and Zifa was first ordered by Fifa in 2012 to pay him. Zimbabwe were given several deadlines and warnings but the debut remains outstanding. Fifa said Zimbabwe did not appeal against its expulsion. 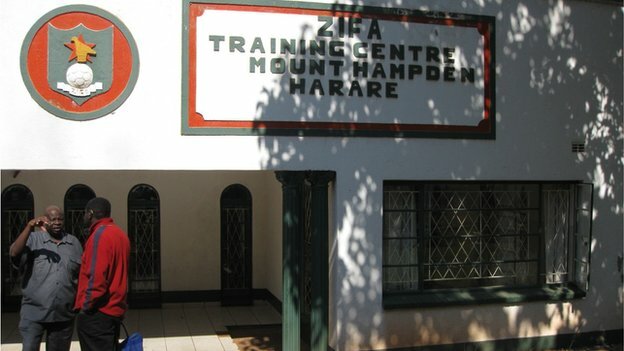 Zifa is in dire financial trouble, with debts of more than US$4m, and was recently forced to auction assets from its Fifa-financed training centre to settle a legal dispute with a former employee.